The Republic of Ireland is “not playing chicken” with its stance on the Brexit backstop, Leo Varadkar has warned. The taoiseach (Irish prime minister) was speaking in Egypt on Sunday as Theresa May attempts to seek changes to her rejected withdrawal agreement. He reiterated that his government would not accept a time limit on the backstop or a unilateral exit clause for the UK. “We are not playing poker, we are just standing by our position which has been solid since day one,” he said. “We are happy to discuss with the United Kingdom assurances that they may need to give them further confidence that the backstop – were it ever applied – will not be permanent,” he told reporters at an EU-Arab League summit. His comments come as the prime minister announced that MPs will have a final vote on the Brexit deal on 12 March. The taoiseach said the announcement would have no impact on the position of the Republic of Ireland or the EU. Earlier, Irish Foreign Minister Simon Coveney stated that his country could not be asked to “compromise on something as fundamental as the peace process”. However, he said Ireland could show more flexibility after a deal has been done. On Friday, his government unveiled the major legislation it has prepared to manage a no-deal scenario. It covers a wide range of emergency measures that will be enacted if the UK leaves the EU without a deal. Mrs May has ruled out a parliamentary vote on the deal before the end of February. She is trying to renegotiate the backstop – the insurance policy to prevent the return of physical checks on the border between Northern Ireland and the Republic of Ireland. Mr Coveney told Sky News said that while the EU stands firm on not changing the withdrawal agreement it is trying to “provide reassurance and clarification for the British parliament to allow them to ratify this deal”. He said Brexit was “not just about Westminster”. “If Britain wants a deal you can’t ask Ireland to compromise on something as fundamental as a peace process and relationships linked to the Good Friday Agreement in order to get a deal through,” he said. 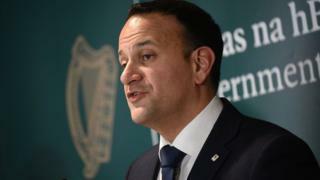 Mr Coveney added that the government’s position was “about placating a group in the Conservative Party who are insisting on moving the prime minister away from her own policies”. 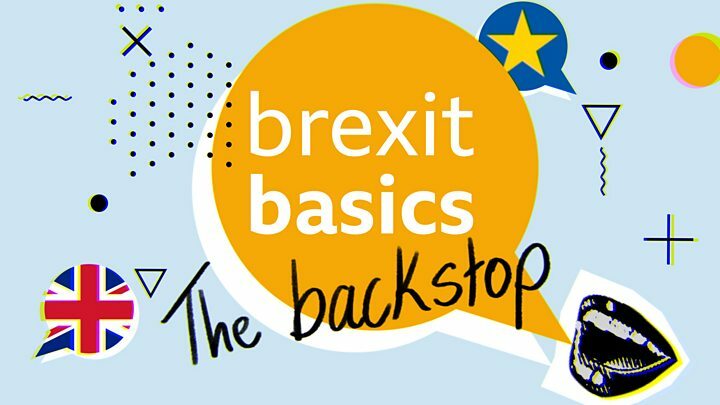 “The backstop was a British government construct as much as it was an EU and Irish government construct. “This is about a shared responsibility,” he added. He again reiterated the need for a guarantee to those in border counties that they will not face physical or security border infrastructure. However, the government has repeatedly refused to rule out the possibility of the UK leaving without a formal deal, in the event that Mrs May cannot get MPs to approve the deal she negotiated with Brussels in time. Mrs May is expected to hold talks with European Council president Donald Tusk and other key EU figures in Egypt later during a summit between leaders of EU and Arab league countries. But Downing Street has played down hopes of a breakthrough on her Brexit deal being reached in Sharm el- Sheikh. The summit is the first between leaders of EU and Arab league countries and will focus on tackling concerns over security and migration, and boosting trade.